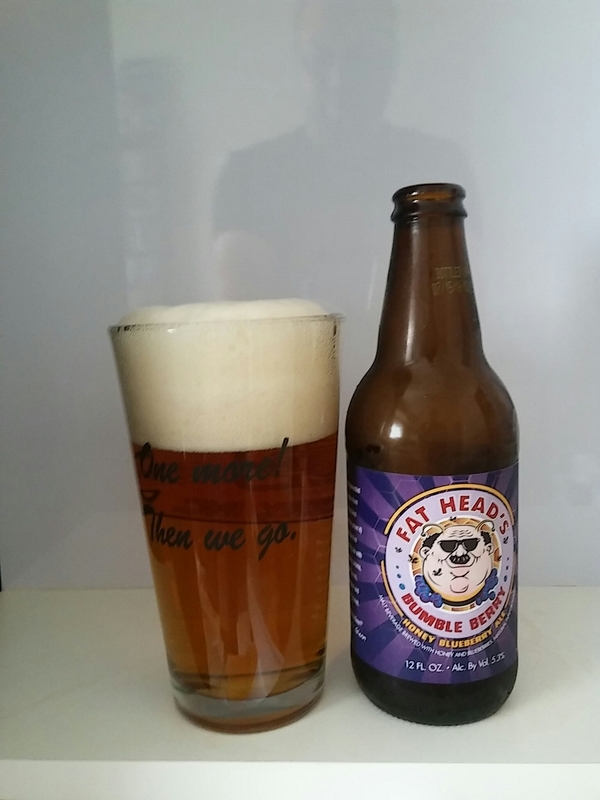 In this beer blog, we are going to get into another beer from Fat Head’s Brewery. It is their Bumble Berry Ale. If you read my earlier beer blog posts on their beers, you know the history of this Midwest and West Coast craft brewery. If you have not, please, read them to get to know this Ohio base craft brewery. Let us get into this fruit beer. It has a clear golden color with a white constant head. The aroma has a heavy blueberry notes. The taste has a sweet blueberry notes with a heavy blueberry finish for the aftertaste. It is pretty drinkable beer. Brewed with fresh harvested spring honey stolen from some very angry bees (we have the welts to prove it) and infused with fresh blueberries. Creating a light, refreshing ale with a nice blueberry aroma, crackery malt flavors, a hint of sweetness and a refreshing blueberry finish. Get yo buzz on! Food Pairings: Salads, Chicken, Oatmeal Cookies.